Confused yet? Me too! I had a colleague ask me today about an "easy" way to share photos that students were taking at an event that could be filtered by administration in some some way. Well, off the bat that eliminates the use of hashtags on Twitter or Instagram. That would be the truly easy way to handle it, but just isn't a viable solution in this instance. So what is the "easy" solution? I think I figured it out some few hours later using a convoluted mashup of Google Voice, Dropbox, Flickr and IFTTT. Create a Google Voice account for a Gmail Account. A little known fact, you can actual text message these accounts and they will arrive just like emails. Also create an alias for the email account itself in case people can't text they can email the alias. Create a Dropbox account and download the Dropbox application to your desktop. Set this public folder as the default location for your browser to download files. Create an IFTTT recipe where the If trigger is Dropbox "New Photo in Your Public Photo" Add hashtags, if you like, otherwise leave the rest set to default. And set the Action for Flickr to "Upload Public Folder from URL"
Instruct the person monitoring the incoming photos to simply download the attached photos that have been approved from within the email. The mere presence of the file in the Dropbox folder will trigger the IFTTT recipe and upload the image to Flickr. Create QR codes for the Google Voice and or the Email address to which you want people to send photos. Make sure the number and address is available for people without QR Code scanners. Provide information about where people can view the photostream. Simple right!? For the person taking the photos, yes. For the person monitoring the incoming photos, sort of. For the technical staff who have to set this monstrosity up, not so much! But hey, that's why no one ever looks behind the curtain right?! I hope this helps someone with a similar request. Incidentally, I could have avoided the download step entirely by setting up a forwarding of email including a specified hashtag to trigger@ifttt.com and then create a recipe that would trigger moving the document into the Dropbox folder which would then be automagically uploaded to Flickr. The problem? First it eliminates the approval process and second names the attachment with the phone number the message was sent from as it drops it into the Dropbox folder. Probably, not the best idea. So, after returning from #IETC13, which I promise I'll be writing a reflection post for about soon, I had to fulfill a promise help someone very special to me fulfill their wish to create a video game of their own. I had no idea where to start. But with a little searching I came across a site called: Sploder.com that basically has a drag and drop interface for game creation. Four hours later, here is that special someone's first level of a game called "New World." Give it a try and let us know what you think! Please - leave a constructive comment or some encouragement! 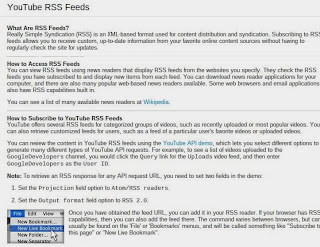 Did you know adding a YouTube Channel to an RSS Feed Reader is as simple as adding the YouTube Channel address to your feed reader? It will auto discover the feed and anytime your favorite channel receives a new upload it will be delivered right to your reader application! Pretty cool in and of itself right? Follow the YouTube API Demo link and it will take you to a very powerful search engine that will allow you to add keyword searches to your feed reader as well. Let's walk through this step by step. First locate the video feeds Query link and select it. Then scroll down and in the categories and keywords section choose the Atom/RSS readers radio button and type in a keyword you would like to search for in this case "edtech" and use the AND button to add it to the search. Next scroll down to the Request Parameters segment of the form. 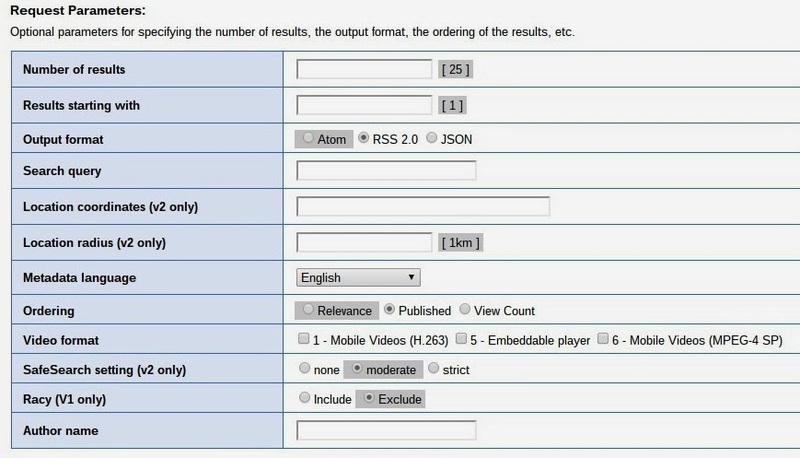 There are many options but the two most important are checking the RSS 2.0 Output Format radio button and selecting Published as the option for Ordering (this will give you the most recent videos uploaded). Scroll down to the Resulting URI section and click submit. This is where the magic starts to happen. It will create an XML document specific to your search. But, you don't have to worry about that. 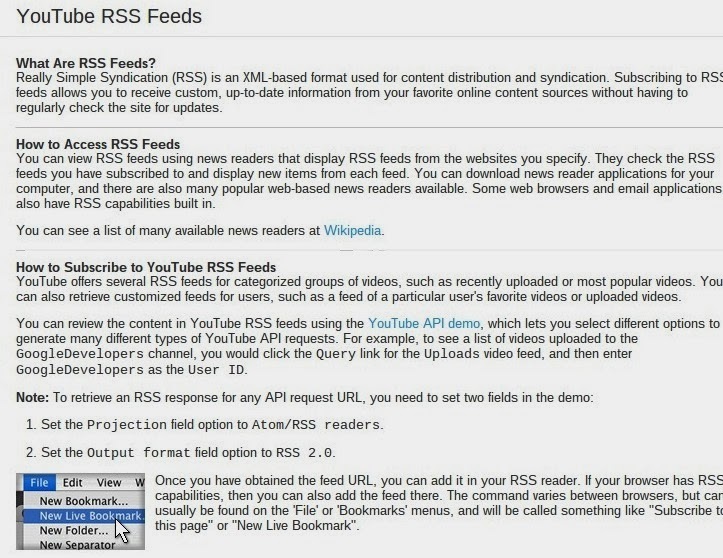 Now any uploaded videos tagged with the keyword you choose will be sent directly to your RSS Feed Reader! You no longer have to search that keyword at YouTube - instead it will come to you! Gotta love RSS! Chicago, IL | Walnut Creek, CA – EdReach.us and CUE announce the formation of The #EduWin Awards. The #EduWin Awards piggy-back off the grass-roots movement where teachers hand out Edu- “Wins” online through Twitter and other social media. What is an #EduWin? An #EduWin is a recognition of something fantastic happening in education. Teachers and administrators often share great moments on Twitter using the #EduWin hashtag or at www.whatisyoureduwin.com. Starting in October, by going to www.eduwin.org, anyone can nominate an educator, a parent, a student, a citizen, or a proprietor. The #EduWin Awards board will decide five (5) monthly winners. Those winners will have the chance to be recognized at theAnnual CUE Conference, March 20-22, 2014 in Palm Springs, Calif. The motivation for #EduWin came from educators and administrators reacting to all the negativity in the media about education. There are amazing things happening in teaching every day, but not enough people hear those stories. #EduWin was created to bring the focus back to the students and to the positive impact teachers can have on students’ lives. With The #EduWin Awards, this is, perhaps, a chance to recognize education in the most authentic way possible: through the eyes of educators. EdReach Global LLC (www.EdReach.us) is based out of Chicago, IL and was founded in 2012. The EdReach Broadcasting Network has hundreds of education contributors in the US, Australia, Singapore, Shanghai, the UK, and abroad. Thousands of educators every month turn to EdReach for the latest in innovative teaching practices, learning models, tools, ed news, and resources. #WWDD What Would Dewey Do? Earlier this morning, as I scrolled through my Twitter feed, I noticed the following tweet from Steven Anderson (@web20classroom). "Are we teaching for yesterday or tomorrow? #edscape" Apparently, he was listening to a talk from George Couros (@gcouros), which I'm hoping was archived somewhere. At any rate this got me thinking even more about the leaders in child development and education that laid the foundation we rely on today. Individuals like John Dewey who said "If we teach today as we taught yesterday, we rob our children of tomorrow." A timeless and poignant quote that may be even more meaningful in today's technology driven world. But I had to stop and think: What Would Dewey Do?, if he had been an educator today? Or Piaget, Bloom or Erikson for that matter. Suddenly an educators version of Bill and Ted's Excellent Adventure is swirling in my brain. If we could somehow transport yesterday's thought leaders into modern times and sit them down with Daniel Pink, Sir Ken Robinson, Marc Prensky and the like, what would that conversation look like? Today's students are learning at an accelerated pace that is well beyond exponential growth. They are saturated with information and require guidance and facilitation more than ever to weed through all of it. Status Quo is simply not acceptable in our rapid fire ever changing 21st century reality. Would the greatest mind's from days gone by embrace our methods of assessment and use of technology or would they chastise us for not allowing their theories to stand without adaptation. I think you know the answer. How many of us heard growing up that television was going to rot our brains? Expanding on that thought, what could the Internet be doing to our DNA? OK, that's a bit of a stretch. But, this type of thinking is based on fear of the unknown and caution can create apathy and atrophy. Are we pushing the boundaries or merely keeping our heads above water? Believe it or not, I think we are on the side of breaking through barriers. The educational system is slowly evolving thanks today's educational leaders. And I'm not talking about the leaders in government and special interest groups. I'm talking about those who push you to think, evaluate and assess what you are trying to achieve. I had the pleasure of recently attending a gathering which included a talk from David Jakes (@DJakes) who asked if it was a good idea to slap Web 2.0 tools onto Bloom's taxonomy. My immediate and surprisingly vocal response was yes. And here's why...By putting the use of today's tools into a framework today's teachers easily relate to, there is a hope that technology will be infused into more lessons. This however, is not enough! We also need to start educating teachers on new theories that help us assess and evaluate our use of instructional technology. Ideas like the SAMR model and the Technology Integration Matrix. We do not need to raze the old foundation. Our classic theories still hold weight. But we are doing ourselves and our students a great disservice if we do not continue to establish new ideals which could not have even been conceivable a century ago. So next time you find yourself with a new educational opportunity or teachable moment. I hope you ask yourself "What Would Dewey Do"! I'm excited to share that in less than 24 hours, I will be presenting at the #RSCON4 online conference October 11, 2013 at 4:00 pm CDT. I will be co-presenting with a teacher I worked with last year on a 10 week Digital Story Telling Unit that focused on Urban Legends with students from the Alternative Resource Center with which I work. This was an exciting project that was challenging but at the same time extremely rewarding. I hope that you will be able to join myself and Juli Amidei as we explain the genesis of the project, lay out the design & share some wonderful examples these students produced. If you have ever wanted to try digital storytelling this session will give you everything you need to know and more! But more importantly, the 2013 Reform Symposium E-Conference is going to be an amazing FREE event! Over 110 presenters, 10+ keynotes and much more over the course of 3 days! Make sure you follow the link above to get all the details. This is what professional development in education should be all about. Educators from around the globe will be turning out to share the exciting and positive things they are doing in their learning spaces. Recently, I have been finding myself avoiding the use of the word "classroom." It's just too claustrophobic. Learning should happen everywhere and continue for a lifetime and this conference sets a fine example in that respect by utilizing the Blackboard Collaborate environment to share knowledge and wisdom globally. So, sometime tonight or even tomorrow morning, I encourage you to look over the schedule and pick some of the most interesting sessions to spend some time attending. Hopefully, one of those will be "Urban Legends Through Digital Storytelling" at 4:00 pm CDT October 11th, 2013, it would be wonderful to see some familiar names show up in the chat session! Connect with old friends and make some new ones this weekend, you might just learn some amazing things and expand your horizons along the way! A few weeks ago, Michelle Baldwin, a friend from my PLN wrote an interesting retrospective piece following ISTE entitled No More Rock Stars and I've been thinking about it since. And I fully appreciated her point that no matter the pinnacle of success we reach in our given fields (unless maybe you truly are a rock star musician) we are all just human beings. We learn and grow from each other. And this got me re-thinking my RSS feed of information. I subscribe to numerous blogs of individuals who have certainly been put up on the "ed-tech" pedestal and I enjoy reading their posts full of insight and wisdom. However, today, I noticed two things. First, most of these individuals are so insanely busy that they rarely have time to write a post. Second, because they have the opportunity to travel the country connecting with amazing educators they have a different perspective than many of us. As a result they give a broad and generalist overview of the current field of vision. On the flipside, most of us don't have those unique opportunities. And if we are able to travel to conferences, many times it is on our own dime and not paid for by our districts or organizations. And we certainly aren't being paid to appear at the conference itself. Now don't get me wrong, I'd love to be in a position that afforded me that opportunity. But my focus is on being the best me I can. If I help some people along the way through this blog, social media outlets or face to face during professional development opportunities like conferences, all the better. For lack of a better term, the average educator, technology support specialists, instructional / technology coaches and yes, even administrators are "in the trenches". Hopefully, we are working together to provide the best educational experiences for our students. And this, my friends, is where the real power lies! Some of the most amazing posts I have encountered of late are from those individuals. Let me give you 3 examples of probably thousands of people you have probably never heard of but should be paying close attention too. Let's start with my new friend Carrie Baughcum - her blog attracted the attention of the EduWin Crew. This year at her blog http://www.holdontoyourchair.com/ she recapped her experience with being a 1:1 iPAD classroom. It is insightful and passionate and a must read for any educator. Next up, Pernille Ripp's Blogging through the Fourth Dimension, where every post is directly from the heart. You can feel her dedication through her words and can be moved to action by almost any one of her posts. But what's most impressive is her attitude and humility which can be summed up in a quote from her about.me page: "I have no awards or accolades except for the lightbulbs that go off in my students' heads every day." As a co-founder of edcamp MadWI and the creator of http://www.globalreadaloud.com/ and a book entitled "The Passionate Learner - Giving Our Classroom Back to Our Students Starting Today" being published soon, I have a feeling the above statement will soon change but something tells me it won't change Pernille fantastic outlook on education. And finally, one I discovered today, My Hullabaloo from Mr Matt Gomez (can't leave the guys out can we?) I don't know much about Matt and he may already be very well known (just not to me). But what impressed me was how many posts suddenly appeared in my RSS feed when I subscribed to his blog. It seems like he writes at least every other day about resources that matter to educators. OK, so those are my three examples. Now, here's my challenge too you. Go find three blogs by someone "in the trenches" that resonate with you and subscribe to their posts! When you find three, please leave a comment below listing them and why they are important! Better yet, start writing a blog yourself if you don't already. Share the gift of your knowledge and experience because what you do matters! You'll be surprised, how sharing your thoughts with the world can change your insight! I don't throw the term "Game Changer" around loosely, but something I stumbled across this morning just blew my mind! Podcastomatic was a very nice way to host a podcast. I attempted to use it some years back and found it had a nice interface. For some reason, call it kismet, I was drawn to the site this morning only to discover it has completely changed it's function. Podcastomatic now allows you to type in ANY blog address. Now, when you don't have time to read your favorite blogs, you can take them on the run - literally! Just download the mp3 to your favorite listening device and you have access to the information you can't live without on the go and even away from the Internet. Whether going for a run, drive, flight - whatever it may be, you can catch up on essential knowledge. Of course the text to speech feature opens the doors to unlimited potential in education as well. If you have students who are auditory by nature or have other unique learning challenges. It looks like it has the potential to work with any RSS feed, but I have yet to have a chance to explore it enough to say with certainty. Another bonus, as if you needed another reason to stop reading this post and head directly to Podcastomatic is that you can subscribe to the created podcast via RSS or in iTunes - so you never miss another post from your favorite blog author! We survived the Ning debacle and this too shall pass, however painfully. The important thing is to start looking for your exit strategy now. Start exploring the best alternative and keep the information flowing! It has been a while since my last post and I have not even started to look into my plan to start writing about apps. The ICE conference just completed and my stress levels were kind of through the roof since my two of my three sessions were not all about tools but rather about pedagogy and communication. Topics that until now have been completely out of my comfort zone. And while I was only able to attend a few sessions, I left the conference rejuvenated. From a connection stand point, I had the opportunity to meet many people I have been conversing with on social networks for some time. Having an opportunity to meet Angela Maiers, Wesley Fryer, Tony Vincent, Scott McLeod and Tom Whitby in person for the first time or getting to reconnect with Hall Davidson Shannon Miller and one of my copresenters Jennifer Wagner was extremely meaningful for me. Not only because I have learned so much from them as a professional but also because their wisdom has helped me to grow as a person. Watching each of them give of themselves to everyone who wanted to stop and say hello was amazing because it highlighted the importance of connection. While this may sound like name dropping, it is only because these are the people I can't easily connect with in person as they are spread across the country and I truly cherish the opportunities I get to spend with such individuals whom without first knowing on Twitter, I would never had the courage to introduce myself. Witnessing these interactions also inspired me to get back to work on a book I have been writing for years on building Professional Learning Networks. The human need for connection is so important to be successful, we cannot afford to live in silos of solitude. So why does Twitter still matter? Because, it allows you to break from that isolation. Make connections to the people who matter most and share what you do. I have been on a personal crusade since being introduced to Twitter over 4 years ago to get more educators to truly harness it's power. First, I saw the potential for use in the classroom, but quickly found that was too taboo for all but the most brave of educators to attempt. So, instead I encouraged members of the educational community to embrace the social network as a way to make those all important connections and have meaningful conversations. For me Twitter has become a conduit of growth. There is not a day that goes by that I don't learn something new or find encouragement and inspiration from my colleagues. But, I must add a word of caution here. You can end up building your own silo with Twitter if you only follow people you know or those in your immediate profession. As I have been re-evaluating my Twitter strategy (something I recommend you do at least twice a year), I have noticed two things. First, I am mostly connected to educators outside the classroom. My network namely consists of District Technology Coordinators, technology coaches, tech support staff and network people, integration specialists and strategists. What is missing from that mix? The classroom teacher. While I am connected to a number of stellar teachers who share amazing things, I am missing that true connection to those on the "front lines". I want to hear the amazing things you are doing and your #eduwin. I started to become concerned that I had built a lopsided network and was not connected to enough teachers. As I scrolled through the almost 800 people I follow, I noticed a number of classroom teachers, but I also noted they are not "active users". A few tweets here and there about the mundane daily duties they face. I can already hear the responses. "Not enough time", "what I say won't have impact", and "I don't have access to Twitter during the day". These are unacceptable excuses ladies and gentleman. What you do matters and it only takes a few seconds to share something you did during your day that made an impact. Please don't keep your achievements to yourself. Share them with the world and make it a better place as a result! You will be hearing more about the #eduwin movement from me in coming days. But please take a moment to look at whatisyoureduwin.com and see what it is all about! And during that year there has been a major shift from Web 2.0 to Apps and Chrome extensions - you see what is coming don't you? I'm already a month behind so this will not be a 365 project; but, in 2013 I am going to try and tackle as many apps as I can for iOS, Android and Chrome devices (my district will likely be taking on a 1:1 Chromebook initiative over the course of the next year - more on that later). My emphasis will likely be on media creation with an emphasis on differentiated learning. There will likely be a number of posts over the next year that deal with comparing apps on different platforms (especially if I discover a non-cross platform app). So whatever flavor of mobile Internet device you posses there will be something here for you. I will also try to include a link to where the app can be downloaded for iOS, Android, Chrome, Windows 8 or used as a web 2.0 utility in a table at the bottom of each post. Do not count on this being a daily post - life has a way of getting overwhelming sometimes. The first step on this new journey will start later this evening or tomorrow. Stay tuned and be sure to add the RSS for Zenodotus to your favorite reader. Oh and if there is something you think I'm missing and would like to share - be sure to let me know! This week, we lost an amazing mind in the world of technology. 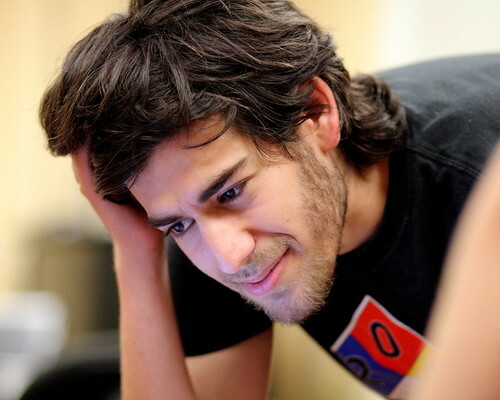 Aaron Swartz committed suicide after a prolonged battle with depression. In case you are unaware of Aaron's contributions to our world: he had a part (and no small part) in developing the concept of RSS Feeds, Co-founding Reddit, led the development of the nonprofit Open Library in 2007 and assisted in laying structure of the framework for the development of Creative Commons licensing - among many other projects. But until now, you probably didn't have a clue who he was. Aaron was also a man of conviction and was passionate about the concepts of freedom of information the Internet. This led him to develop Demand Progress an organization committed to the aforementioned ideal. Unfortunately, living by one's convictions can often lead you over the top and outside the bounds of social norms. In 2011, Aaron was indicted on charges of downloading millions of documents illegally from the non for profit online database JSTOR which provide academic journal articles free of charge. I will not speculate on whether his actions were right or wrong. Unfortunately, facing a prison sentence of up to 35 years for hacking, Aaron took his own life. Aaron had suffered from depression for some time as he noted in this blog post from 2007. It is my opinion that passion, genius and depression are typically a recipe for a catastrophic disaster and in this particular case it took a young 26 year old from us much too soon. Depression needs to stop being looked at as a stigma in the world in which we live. It is a sickness that must be addressed and allowed to be done without shame. Who knows what a bright star like Aaron would have accomplished if he had gotten the help he obviously needed. We need to watch out for each other and be a support system to those in need. We need to be more alert so that these kinds of tragedies can be prevented. Rest in Peace Aaron and as Tim Berners Lee so succinctly tweeted at the news of your loss: "Aaron dead. World wanderers, we have lost a wise elder. Hackers for right, we are one down. Parents all, we have lost a child. Let us weep." You will be missed. Google continues to blow my mind with Google +. For a long time the most exciting feature for me on this social networking tool has been the Hangout feature. Being able to have meetings with 9 other individuals is fantastic. Then Google added app integration and suddenly you could collaborate on Google Docs, watch Youtube videos together and most recently share and control their Slideshare.com presentations. In a previous post, I believe I described how Don Goble did just that to keynote a recent SET Connections conference. The tonight I was privileged to "Hangout" with Carol Broos and a number of Golden Apple Academy members, many of whom were new to the idea of the Hangout feature. Carol had asked me to talk a bit about PLNs and in preparation I wanted to make sure my screenshare feature was working properly so I could show Twitter, Facebook and Google + So I opened a Hangout and saw Carlos Fernandez was available. I sent him an invite and was surprised to find he answered on his cell phone. I knew this was possible but really needed him on a device where he could confirm my screen looked right. So he walked over to his laptop and suddenly the screen blipped and his image became clearer. My jaw dropped when it dawned on me that he had just switched his connection to the hangout "on the fly" between his IPhone and his laptop. This was because he had the invitation to Hangout open on his laptop and simply clicked it and disconnected his phone. At least I think that's what happened. So during tonight's meeting the question arose as to whether you could join a Hangout on an iPAD. I knew you could but wasn't sure exactly how. So, during the meeting I downloaded the Google+ app to investigate. Sure enough once you have the app installed and are signed in, you can look in your notifications for Hangouts happening now and click the join button and you can Hangout from your iPAD. Now here's the even more mind blowing part. If you join a hangout your already in on another device - you actually get in TWICE! Which is really confusing to yourself and other participants - but this has implications. Maybe you need to have a screenshare happening on you desktop or laptop but still wish to be seen? Pull your video connection up on your device and screen on the other! Maybe you need to show multiple angles of an object, put it between your tablet or iTouch (yes, it works on those too) and now you have a multiple angle shot. I'm trying to figure out the best way to do a screencast of this using a Hangout. But until then I hope this info blew your mind as much as it did mine and you are already thinking about implications! In trying to record a Google + "On Air" Hangout so I could demonstrate how this works, I discovered that it does not seem to work in a recorded Hangout. I was not able to join a recording session in progress from an iTouch like I was the live discussion last night. If anyone knows how this can be done, please let me know! We all learn from each other!